"Lady Kirby" is designed over a 19 inch black designer horsehair hat. 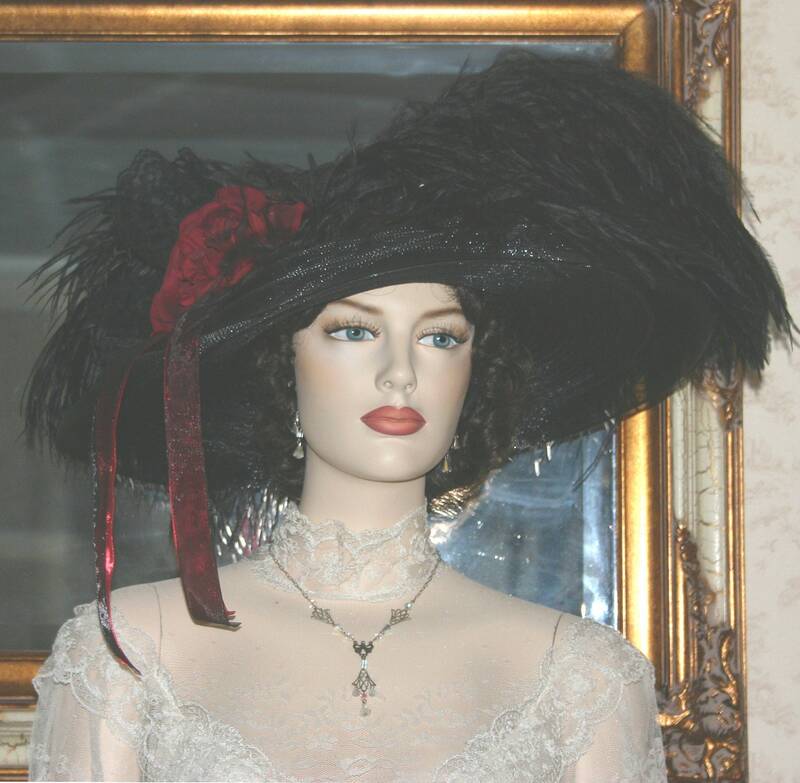 A huge red old English cabbage rose accented with black lace adorns the side of the hat. 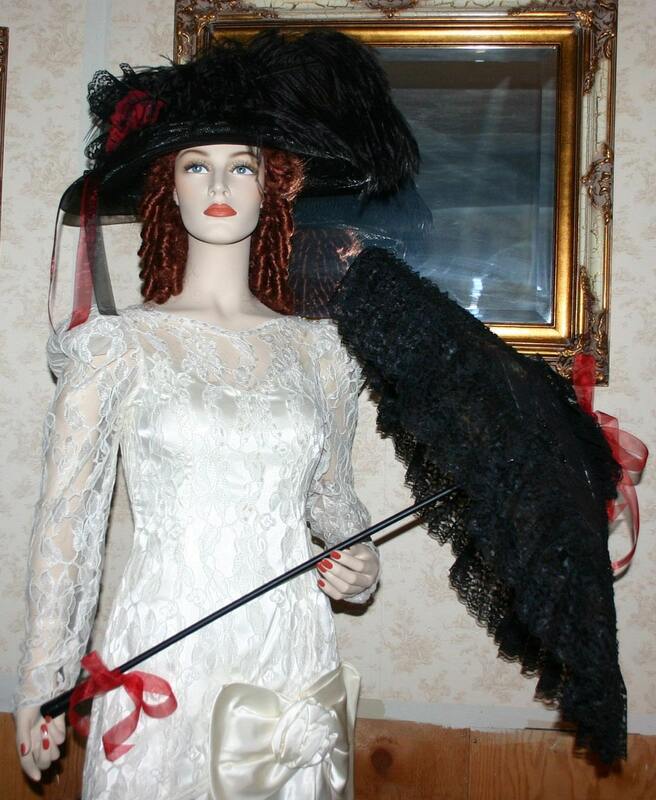 Three huge ostrich black male ostrich wing feathers sweep gracefully around the brim. Black and red organza ribbon accents the hat. 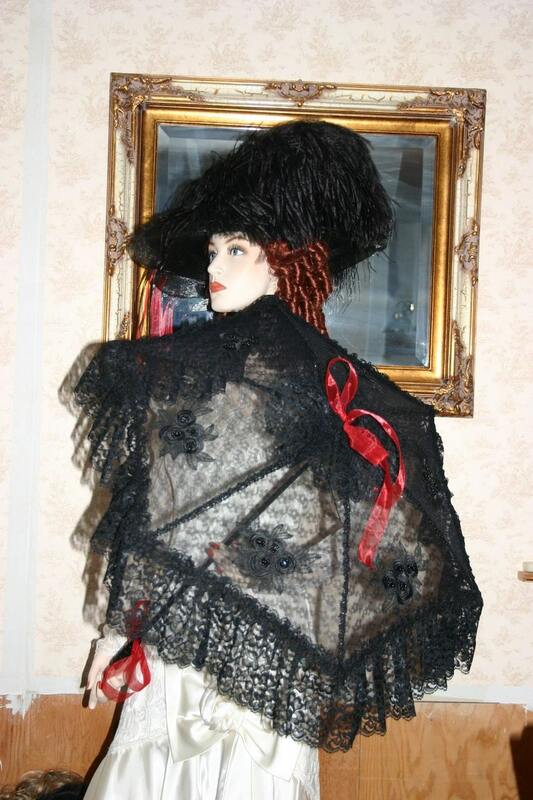 The parasol is black lace base accented with beautiful black lace that matches the lace on the hat. The ribs of the parasol is accented with delicate Venice lace roses...that also accent all the way around the edge of the parasol. 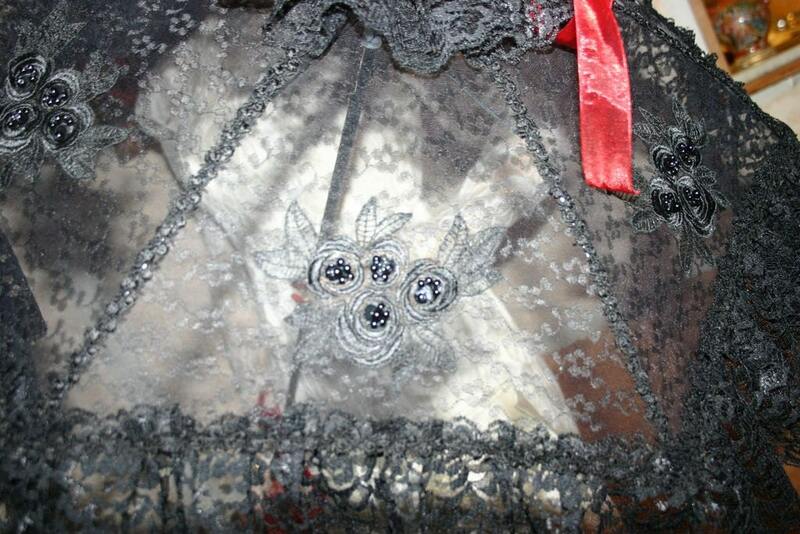 The top not is made of the same lace. 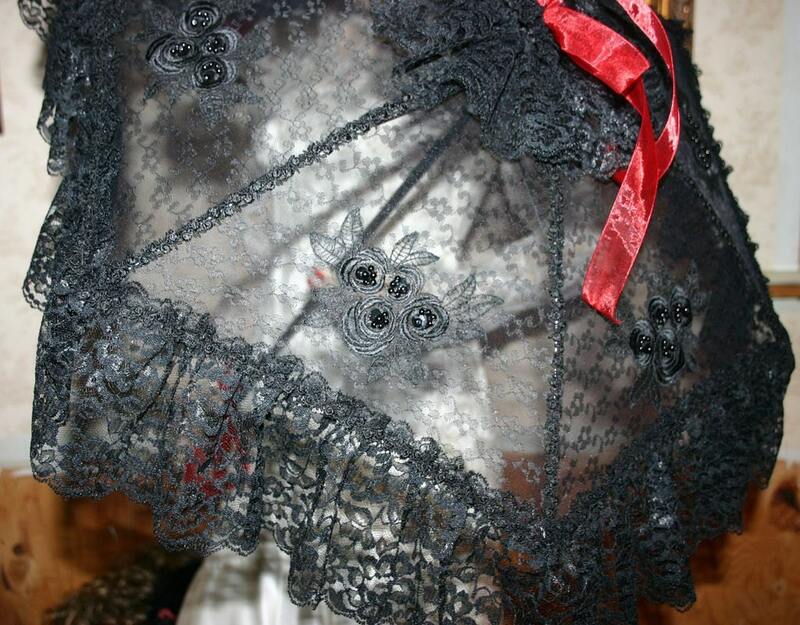 Sheer Organza black roses with black pearls accent the six sides of the parasol. Red organza ribbon is tied to the handle and the top of the parasol. Very beautiful set that will turn heads anyplace you go! ***Some of the photos have been lightened to show detail. ***The hat and parasol will ship in separate shipping boxes.